We are here to make things as simple and convenient for you as we possibly can and to provide you the best service at the best price. 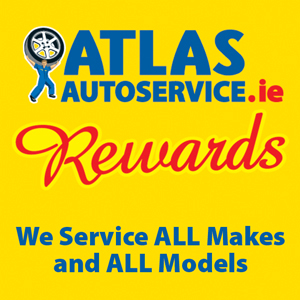 You can book in your car for your car service on your chosen date by booking online or calling one of our helpful professional managers in your local ATLAS centre. 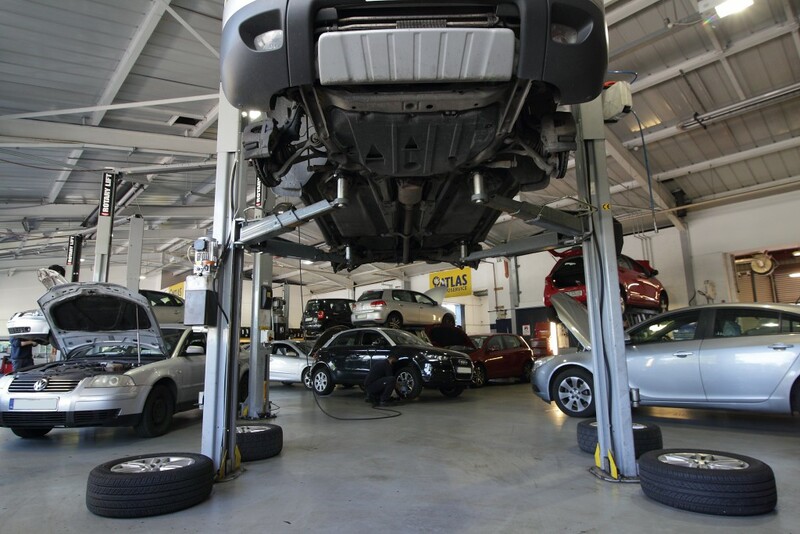 Our Managers are experienced and knowledgeable in all area’s of car servicing. Your car will be inspected and serviced according to our itemised service schedule using only OEM (original equipment manufacturer) standard quality parts. Each point will be thoroughly checked by our qualified technicians. All the work we do is covered by a 12 months parts and labour guarantee. If our inspection identifies advisory work, we’ll contact you for further instructions and quote for parts and labour. You’re under no obligation at all to have any extra work done by us. Once the work has been completed, we’ll carry out a further quality control check to ensure everything’s been covered. Your service book will then be stamped and kept fully compliant with your car’s warranty. Check operation of instruments gauges all warning lights and horn. Check condition of front and rear (if fitted) wiper blades and operation of washers, top up fluid. Check brake fluid level, top up if satisfactory (otherwise recommend & if agreed replace at extra cost). Check clutch and power steering fluid level (if applicable), top up. Check battery terminals and security. Replace spark plugs (long life / iridium spark plugs will incur an extra charge if due). Check operation and travel of handbrake. Check brake pedal operation and travel. Check (where fitted) power assisted steering belt or auxiliary drive belt for condition and adjustment. Check engine and gearbox mountings for security and wear. Check and inspect under body of vehicle for corrosion or damage. Visually inspect radiator/cooling system for leaks and check condition of hoses. Replace engine oil (includes fully synthetic oil if required). Replace Fuel filter for Diesel Engines (Long life Fuel filters will incur an extra charge if due). Visually inspect condition and security of steering rack: suspension, mountings and gaiters. Visually inspect track rod ends,ball joints for condition wear and security. Visually inspect drive shaft joints for wear and gaiter condition and prop shaft joints for wear and condition. Visually inspect exhausts system condition,security and leakage. Visually inspect security and condition of fuel lines, brake pipes, flexible hoses and handbrake cables. Visually inspect front and rear shock absorber, suspension and mountings, for wear, condition and leakage. Check all tyres for condition and wear, check and adjust all tyre pressures. Check wheel bearings for excess play or noise. Check and advice on timing belt replacement interval. Reset service level indicator (Where applicable). Check operation of instruments gauges, all warning lights and horn. Check condition of front and rear (if fitted) wiper blades and operation of washers? Renew engine oil (includes fully synthetic oil if required). Visually inspect condition and security of steering suspension mountings and gaiters. Visually inspect exhausts system condition for security and leakage. Visually inspect for any visible signs of brake fluid leakage on front and rear back plates (wheels not removed). Visually inspect front and rear shock absorber and suspension for condition and leakage. Check condition of all tyres and check and adjust tyre pressures. Check and advise on timing belt replacement interval (if requested, extra cost). up to 1000cc engine = €99.00 all in. up to 1600cc engine = €159.00 all in. up to 2000cc engine = €199.00 all in. up to 2500cc engine = €229.00 all in. Our staff will call you to confirm that your vehicle is ready for collection. Our pricing is totally transparent. Unless you’ve specifically authorised additional work, the price you see online is what you’ll pay inclusive of VAT, parts, labour, collection and delivery. Because of our purchasing power, we are able to negotiate favorable rates for our parts and for our labour charges so we can pass these savings directly on to you without compromising on quality or car manufacturer warranty. This is how we offer 60% lower prices than those of a main dealer. If you have any questions on this process or would like help booking, just email us or call 1890 42 52 62. The service prices are for petrol cars, in most cases diesel cars are serviced at the same price with a fuel filter being fitted in place of the spark plugs however a quick call or email will confirm this. Any cars requiring Iridium / long life spark plugs , long life fuel filters or specific unique oil will carry an extra cost which will be quoted before the work commences. Fuel filters over €20 will incur an extra charge. A standard engine oil change includes up to 5 litres of oil only, any more will incur an extra charge.